The US food manufacturer JM Smucker has announced plans to build an additional Smucker’s Uncrustables sandwiches manufacturing plant in Longmont, Colorado by 2019. The Longmont facility, which will be built in two phases, will be supported by a total investment of $340 million. During phase one, $200 million will be invested to build and operate the new plant with 250 employees. The firm will then have the opportunity of investing a further $140 million for phase two expansion, growing up to 500 employees, dependent on product demand. 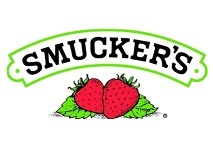 The new plant will add to the company’s existing Smucker’s Uncrustables sandwich manufacturing plant in Scottsville, Kentucky.